Course Website: Official Website - Visit Three Crowns Golf Club's official website by clicking on the link provided. 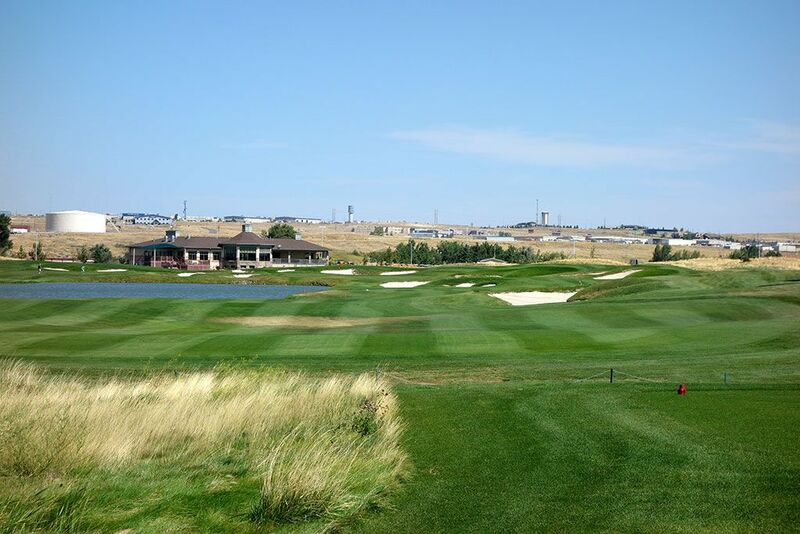 Accolades: Ranked 7th in Wyoming on Golf Course Gurus' Best in State list. 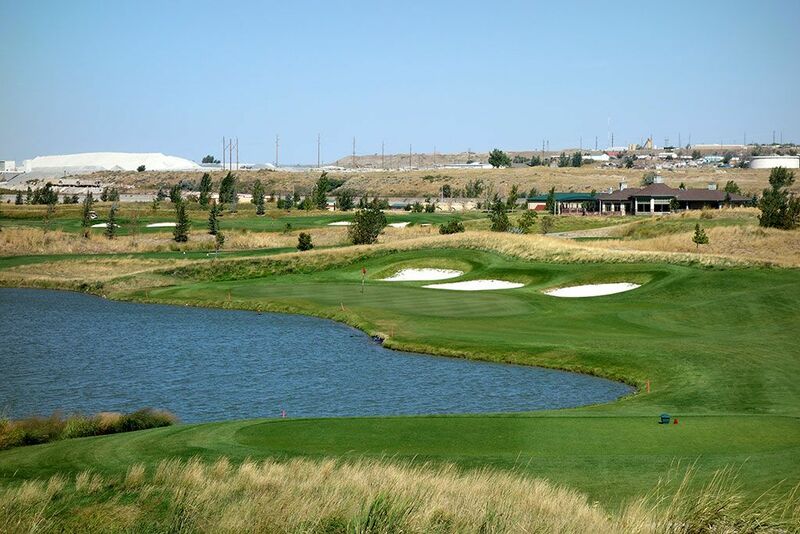 What to Expect: Three Crowns was built on the former Amoco oil refinery site near the North Platte River in Casper, Wyoming. 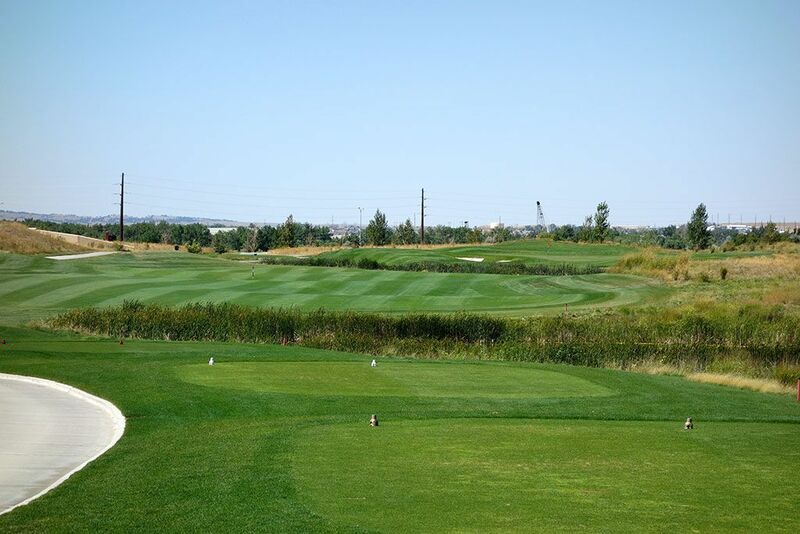 The terrain is relatively flat and the surroundings feature a number of mixed use properties which impede the majority of background views on the course. RTJ Jr. elected to dig out eight lakes on the property and install 61 bunkers to give character and challenge to the layout that is known for often having a stout wind coming out of the southwest. 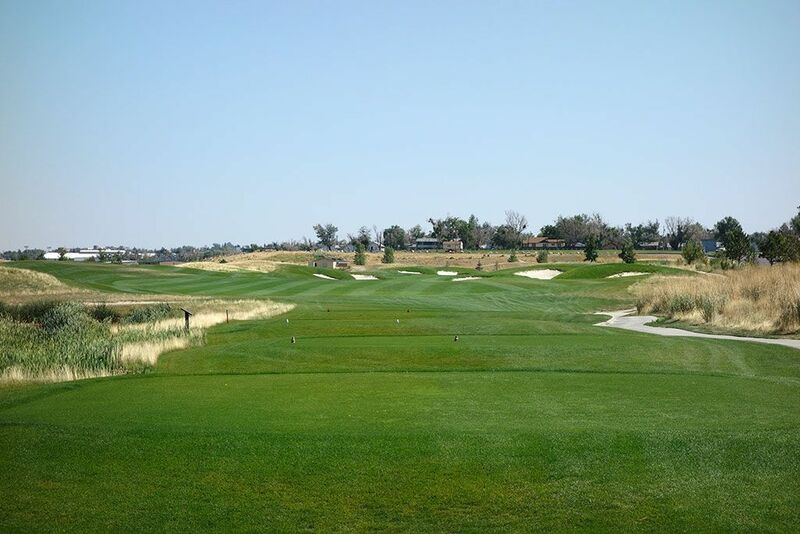 The front nine features three par 3s, three par 4s, and three par 5s with the final par five on the front being the best scoring opportunity of the day. The A-1 bentgrass greens are kept in great shape and are heavily undulated while the bluegrass fairways are in good condition though they seemed over watered in places. The undulated greens and high winds combine to create a formula that results in multiple three-putt opportunities for low and high handicappers alike. 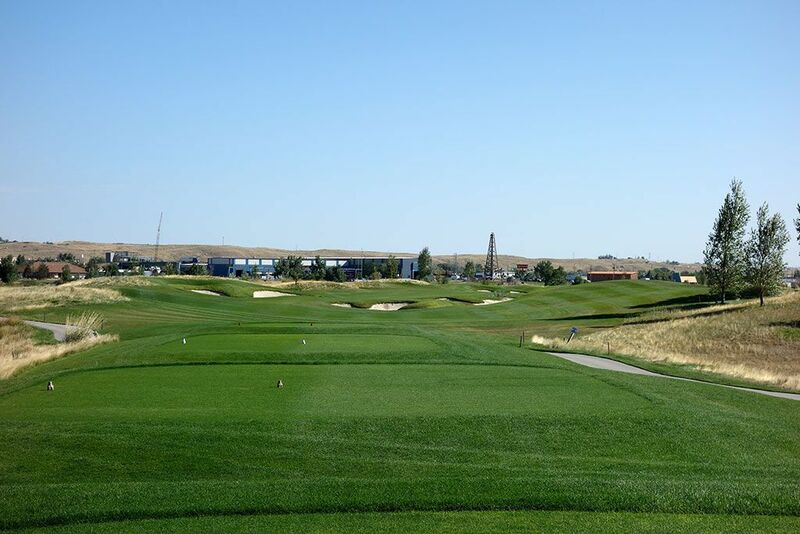 A 300 yard long driving range and a short game area are both found on the property and give visitors a great chance to work on their game. The on-site restaurant is clean and classy which should appeal to golfers and non-golfers alike. Signature Hole: 18th Hole – 415 Yard Par 4 – The finishing hole at Three Crowns is also its finest. With a bunker in the center of the hole creating a split fairway and a pond protecting the right side, the closing hole delivers options and beauty as it plays back towards the clubhouse. The wind generally will be coming in from the players left which adds an element of consideration as the water awaits on the right. The green features a tier running from front to back along the left third of the green and a sprawling bunker rests behind the putting surface ready to catch shots coming in hot. Best Par 3: 6th Hole – 205 Yards – The most elevated tee shot of the day comes from the tips of the 6th hole where players are faced with hitting their shot over the water to a green that runs opposite of the way the wind generally blows. Trusting the wind enough to start your tee shot over the water and letting it ride the breeze into the green takes a lot of guts but is the only way to get close to the flag when Casper's typical winds are rolling through. A trio of bunkers behind the green add aesthetics to the hole while also setting up a challenging up-and-down opportunity when hitting back towards the water. Best Par 4: 15th Hole – 385 Yards – While most tee shots at Three Crowns simply ask you to avoid the bunkers or parallel running waters, the 15th features an angled water hazard encroaching into the fairway from the right. Hitting driver down the right side of the fairway will likely result in a watery death for your ball while tee shots up the left side will provide 60 more yards of fairway depth to play with. This extra element of consideration off the tee coupled with a forced carry over the water to the green sets up one of the more strategic holes on the course. Long bombers wishing to avoid the water on their approach shot may challenge the ride side of the fairway in hopes of carrying their tee ball 275 yards over the hazard and setting up an easy chip shot into the green. Best Par 5: 17th Hole – 600 Yards – This three shot par five could potentially be reduced to a reachable par five when Casper's friendly wind is at your back. Just four bunkers come into play over the 600 yards this hole covers, only one of which is a consideration off the tee. The heart shaped green is what brings this hole great character with undulations creating some intriguing putting situations depending upon that day's pin placement. As your final downwind hole of the day, enjoy the help while you have it. Birdie Time: 9th Hole – 515 Yard Par 5 – At 515 yards from the tips and a mere 435 yards from the whites, this is as easy of a par five as you could ever hope to face at a course that boasts over 7000 total yards. Players will contend with a half dozen bunkers on their journey from the tee to the green, but the short length paired with a cross wind rather than a head wind create an opportunity that shouldn't be passed up. 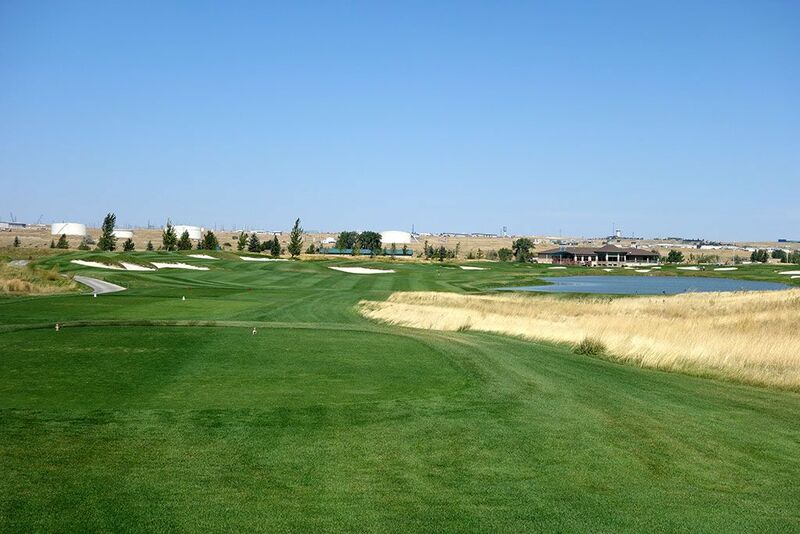 As long as the water is avoided up the left side of the hole, which should be relatively easy since the wind blows balls away from the hazard, the favorable fairway width and playing conditions set up a great chance to card a birdie and gain some confidence heading into the back nine. Bogey Beware: 2nd Hole – 595 Yard Par 5 – When John asked the starter what his favorite hole on the course was, the starter replied instead by telling us there were several holes he hated; especially #2. That wasn't exactly what we were asking but when someone hates a hole it is generally because they don't score well on it, and after playing Three Crowns 2nd hole I'm sure that is exactly what the starter was referring to. 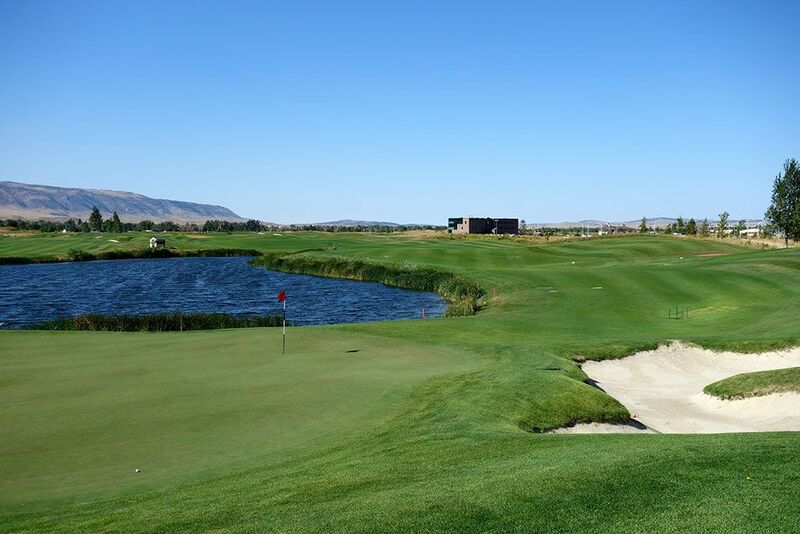 This challenging par five wraps around a lake which also fronts the green. The closer to the green the fairway gets the more narrow the fairway tightens. The fairway gets so tight near the putting surface that it is difficult to lay up to a location that avoids the water while also avoiding the native area on the other side. The hole plays dead downwind which makes it very difficult to get approach shots to hold the putting surface well while the undulations in the green stand as a final barrier to scoring par. The length of the hole combined with the limited safe play options available make this a nasty hole to avoid bogey on.